Ghanaian champions Kumasi Asante Kotoko play in North Africa this weekend minus their trusted offensive defender, Aziz Ansah, as they attempt to make another giant stride towards the continental diadem. 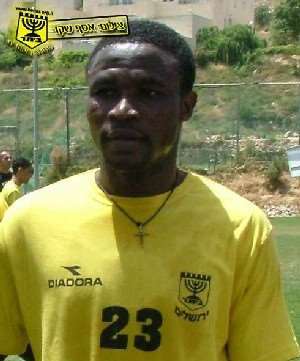 Kotoko, playing in the African Champions League, are pitched against USM Algiers in the one-eight first leg preliminary on Friday and they would miss the services of Aziz who is in Israel in search of a professional stint. But while Kotoko battle away, city rivals, King Faisal, who are contesting in the Confederation Cup would be at home to South African side Santos. Kotoko are not new to the North African terrain. In fact they have done several great battles in that part of the continent and are highly tipped to come out clean against USMA.The Algerians are, no doubt, in great shape this season and could be a threat to the Fabulous side's ambition to make a positive impact on the Champions League. Currently USMA lie second behind JSK in the Algerian first division league and have been producing some encouraging results in Africa.They produced a frightening 10-3 aggregate against Burkinabe side, ASFA Yenenga, in the one-sixeenth stage, winning 8-1 at home and drawing 2-2 away. USMA are deadly at home, no doubt about that, and could ride on territorial advantage to cow Kotoko into submission to make the second leg in Kumasi less difficult. Kotoko have undergone some changes in the technical set-up since their last encounter against Asec Mimosas. Trainer Hans Kodric was given the sack and replaced with former King Faisal coach Hans Dieter Schmidt, and expectations are that the new coach would turn things round for the side that struggled to overcome Asec. Schmidt on arrival made it clear that his main task is to win the Champions League for Kotoko. He might have made that declaration having at the back of his mind the fact that he had some great ball players who could take on Africa with their right tutelage. Already Schmidt has received a warm welcome from the Kotoko family and they believe he is the missing link in their quest to conquer Africa. On Friday as he makes his debut with Kotoko in Africa, he would be doing so with the conviction that Kotoko fear defeat and would not take anything than a good result from Algiers.